Baarishein Lyrics Atif Aslam is the new song by the singer. 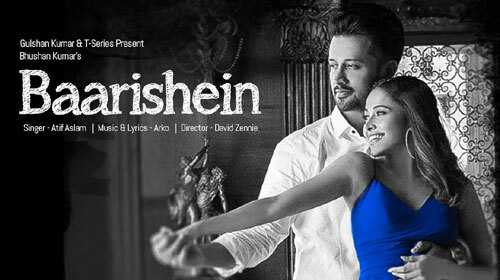 The music and Baarishein lyrics has been composed by Arko while the video is released under T-Series banner. This song features Nushrat Bharucha in it. Listen to the Baarishein Audio Song on Gaana.